Also known as a "Receiving Transformer", loose couplers were used extensively in receivers built during the "teens". The coupler consists of two coils, a primary and a secondary. The primary coil is stationary and is usually provided with a slider for varying the inductance by single turns. The secondary coil slides in and out of the primary to vary the coupling, and is designed with several switch points in order to change its inductance. Loose couplers were used as the primary tuning device in early receivers. 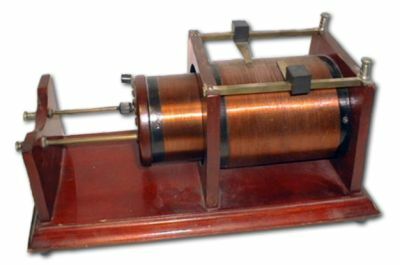 The primary coil was attached to an antenna and ground (sometimes through a variable condenser.) The secondary was connected to a detector (typically a crystal detector in the early sets).